If we are not able to eradicate child labour, then next generation would not have any intellectuals left. This is a very dangerous situation being created. We are looking a state where entire manpower made up of Male children is being wiped off mentally. As a country there would be less number of soldiers on border to protect. On top of it we have are not providing any support by way of Government schemes to reduce this inequality. 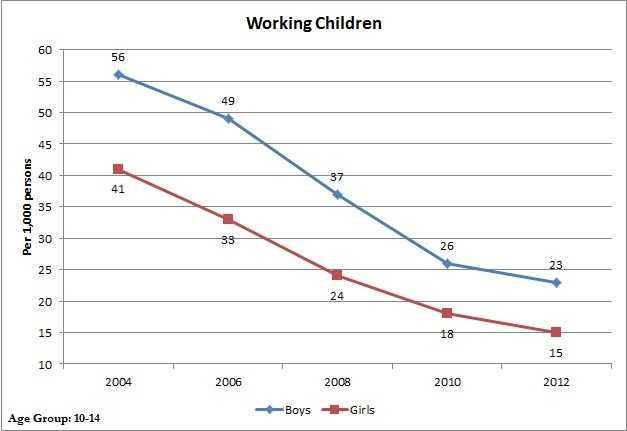 I see a downward trend in child labour in India. This gives me hope that people are waking up. I remember those small boys in tea stalls near our offices. Can we really say no to them? Let us all take a pledge to say no to any kind of child labour if a positive social change is required. Basis data presented, a cursory analysis shows that the number is decreasing. While the absolute numbers, as you rightly pointed out, are worrisome, the trend should have been explicitly pointed out in the post above. Further, this post can be made more powerful by the analysis of the reasons for the same, as regards why do children work? How many are forced to,, and how many are working to prevent starvation? 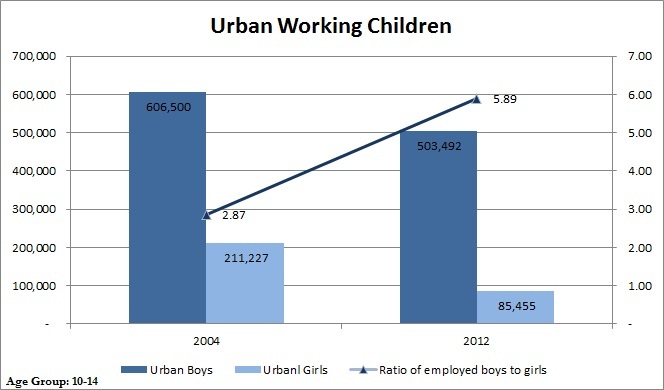 You are correct Vishal that though the number of child laborers has reduced over the time period, still the number is huge and worrisome, as shown in the graphs above. c) Probably a part of the adult population choosing not to work. 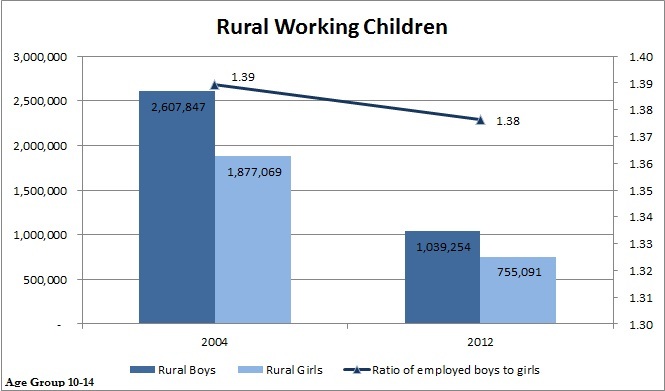 Poverty remains the major cause which leads to child labour in India. Peer pressure and being forced to work for money snatches away the childhood from the children.